KAIROS launches Let Justice Roll campaign! 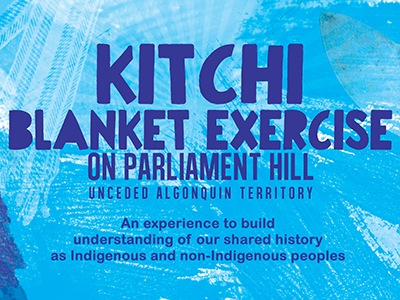 On June 2, thousands of people will converge on Parliament Hill to take part in the Kitchi Blanket Exercise. You are invited! Kitchi means “really big” in Anishinaabemowin, the language of the unceded Algonquin territory where our settler capital is located. Together we will walk through over 500 years of colonization in what we now call Canada and bring focus to the impact on Indigenous peoples. The Blanket Exercise is felt in the body, heart, mind and spirit and with thousands going through the experience together, reverberations will be felt far and wide. We want to bring a different focus to Canada 150 – Canada’s formation includes stolen land, broken promises and cultural genocide. The Kitchi Blanket Exercise is a way of saying we do not want the celebrations to gloss over this shared history. 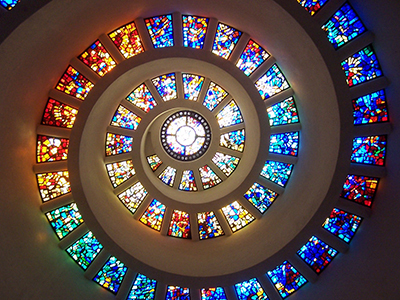 Truth is the foundation of a future of reconciliation. 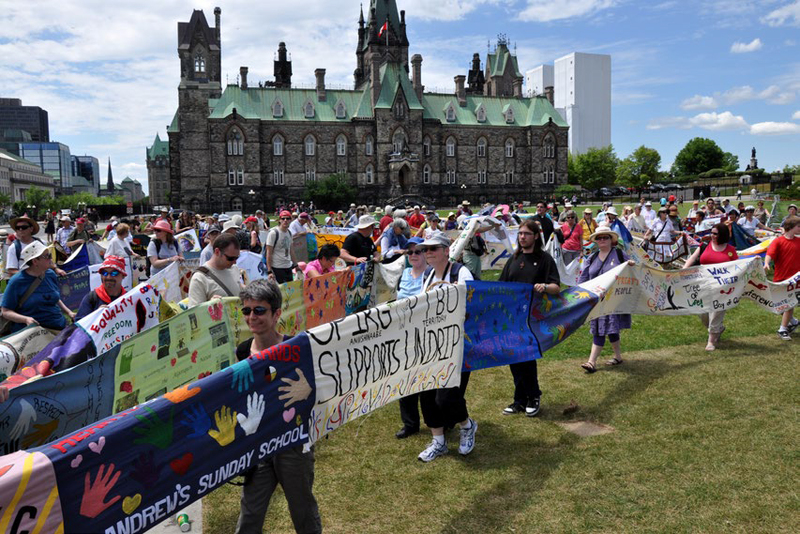 Holding a large-scale Blanket Exercise on Parliament Hill is the vision of the Indigenous youth-led organization Assembly of Seven Generations (A7G). This initiative is a partnership between KAIROS and A7G. Join us for this historic event and help us spread the word! If you cannot be there in person, urge your friends who are in or near Ottawa to be there on your behalf. We will also provide other opportunities to show your solidarity from wherever you are. 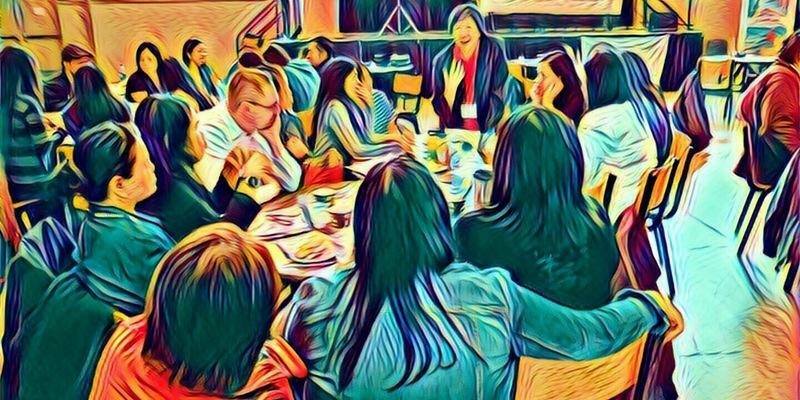 In a recent article, Blanket Exercise uncovers deep injustices in Canadian history, the World Council of Churches recognizes the KAIROS Blanket Exercise’s powerful role in reconciliation and its reach beyond Canada. 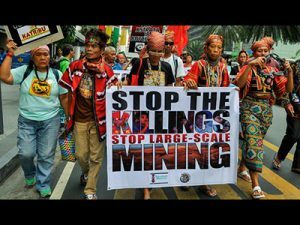 Five delegates from the Philippines visited six Canadian cities from March 20 to April 5, urging Canada to establish an extractive sector ombudsperson and provide access to Canadian courts for people in the Global South affected by the actions of Canadian mining companies. They asked as well that Canada play a leadership role in the Philippines’ peace process. 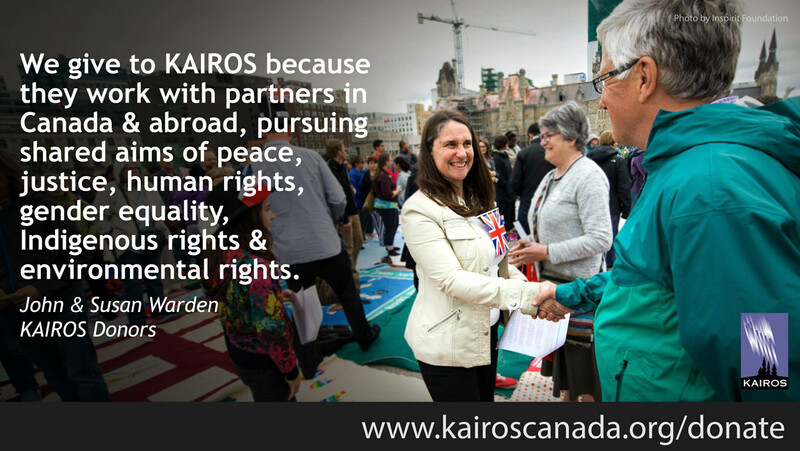 The tour took them to Ottawa, Calgary, Edmonton, Winnipeg, Montreal and Toronto where they met with political representatives, including civil servants at Global Affairs Canada, the media, and members of the KAIROS community. They spoke of the devastating impacts of Canadian mining in their communities. Their stories were often personal, particularly from Nenita and Eufemia, who spoke of killings, displacement and death threats. The event drew media interest, including an interview by TVO’s The Agenda, an editorial meeting with Vice News Canada, a press conference by the Philippine Press Club Ontario and coverage from the Anglican Journal, with more to come. The Hill Times also printed KAIROS’ Connie Sorio’s op-ed on March 22, How Canada can better its brand in the Philippines and the Canadian Press Gallery hosted the delegates at a press conference on Parliament Hill on March 23. We will post The Agenda interview and other coverage on kairoscanada.org when it becomes available. 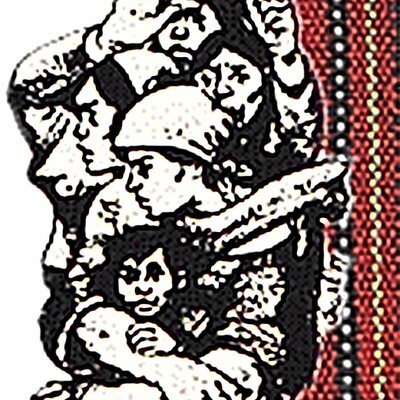 On March 31, KAIROS member churches, in collaboration with Mennonite Church Canada (Indigenous Relations) and Canadian Baptist Congregations, launched Let Justice Roll, a campaign that calls for the full implementation of the UN Declaration on the Rights of Indigenous Peoples by the government of Canada. The campaign’s goal is a legislative framework and a national action plan for implementing the UN Declaration over a 20-year period. Read more. Advancing the rights of migrant workers was the focus of a public forum held on March 27 at the PEI Farm Centre in Charlottetown. The forum, entitled Rights, Faith and Policy: A Public Forum on Migrant Workers’ Issues, brought together migrant workers, community organizations, faith groups, and provincial representatives to build capacity for action, policy and solidarity on migrant worker rights. KAIROS’ Jennifer Henry was among an informative panel moderated by Jesson Reyes, Council Member (Ontario West) of Migrante Canada that also included Fay Faraday, an award-winning human rights lawyer, and Jocelyn Romero, a migrant worker from the Philippines, currently working PEI. This event was made possible by Cooper Institute, CUPE, UFCW, and KAIROS. This event was made possible by Cooper Institute, CUPE, UFCW, and KAIROS Canada. Click here for events listed on Facebook. Some marches are also listed on the Peoples’ Climate Movement website. Innabuyog is an Indigenous women’s rights organization in the Philippines that includes 82 women’s groups, mostly based in remote rural areas. In an atmosphere of increased militarization, Innabuyog is working to enhance the capacity of Indigenous women in mining-affected communities to document, monitor and report on human rights violations. Learn more. 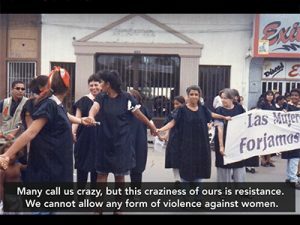 KAIROS celebrated International Women’s Day with the launch of a video on Isabel Caicedo Polanco and the work of KAIROS’ partner, the Organización Femenina Popular (OFP) in Colombia. Watch the video. In the context of settler colonial genocide, Indigenous peoples were targeted for mass cultural destruction, and the legal, moral, and cultural meaning of humanness itself was defined as being non-Indigenous. Read more. So… there they are, the people of Israel, wandering in the desert…lost… and they’re thirsty… and they’re afraid, and they’re mad. Like the ancient Israelites, we too, are in many ways a lost people. Read more. The “sheep and goats” passage from Matthew: 25 is a familiar one to Christians who yearn for God’s justice in our world. I was recently asked to preach on this passage and decided to consider three different perspectives. Read more.